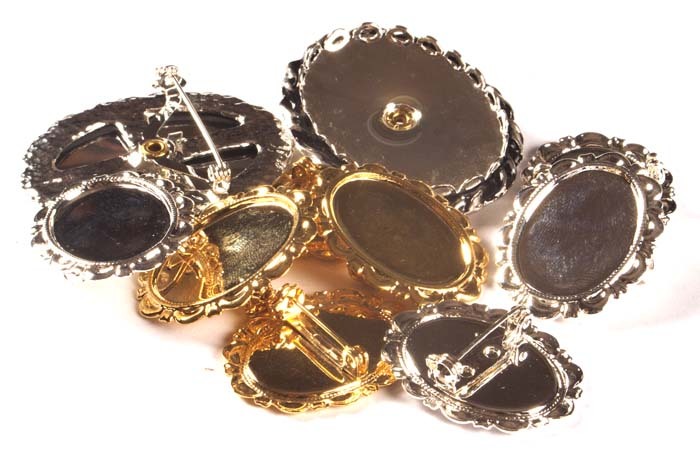 Plated brooches and brooch backs in either gold or silver plated finishes. 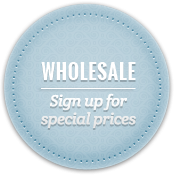 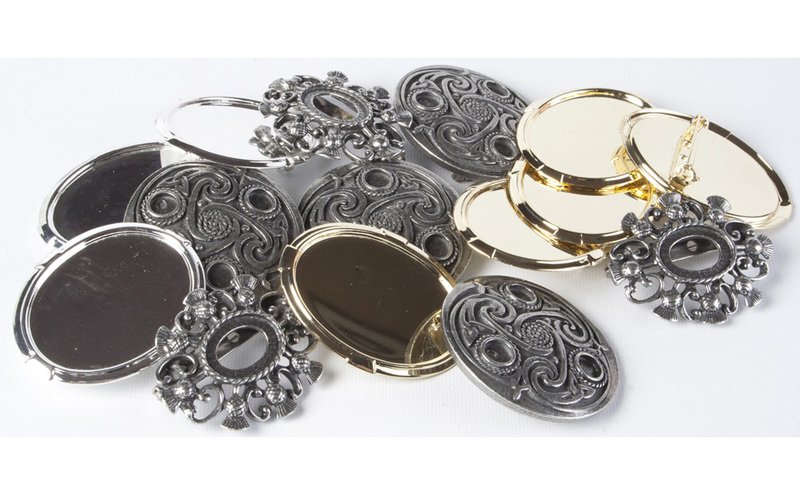 The brooches are available in either 25 x 18mm or 40 x 30mm sizes. 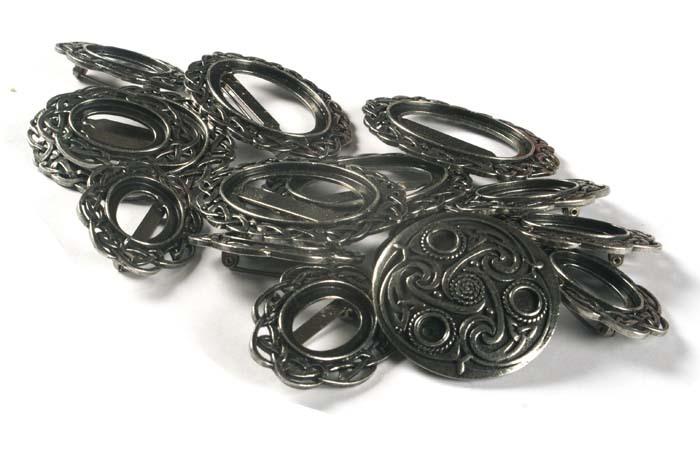 Antique style pewter brooches are also available.